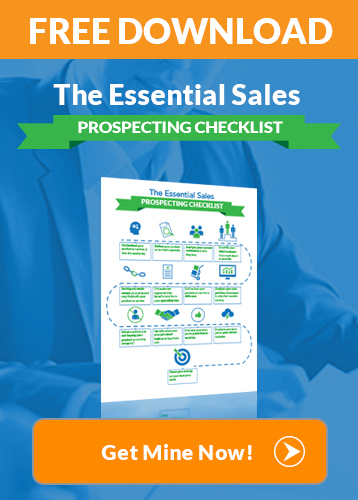 Most of you hear this all the time that “selling is just a numbers game“, to get as many No’s as you can to lead you to a prospect who says Yes. I know I was taught that when I first got into my sales career 15 years ago. Now, I will tell you that selling can indeed be a numbers game for you if all you know is “Traditional Selling” Techniques. If you want to you can, of course, call people over and over again, and go through hundreds of calls a day. You can also chase them down until they listen to you, just so they can come up with an excuse to get rid of you. Where did the “Numbers Game” concept come from? In my opinion, it came from several decades ago after the invention of the telephone. The Sales Manager, in order to make his salespeople feel better about themselves from continually calling prospects and getting rejected, said: “Selling is a Numbers Game”. He made it up just to make his salespeople feel better. If selling is a numbers game then in their mind it’s normal to get rejected on 95% of their calls. 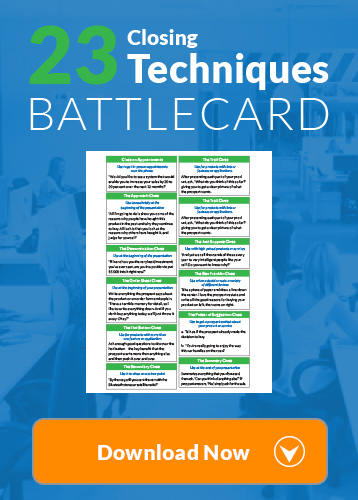 FREE DOWNLOAD: Overcome any objection with these 23 closing techniques. It’s supposed to be how many calls you make and how many contacts you can reach will determine your success in selling right? What if you didn’t have to go through all that work, all those objections, and all that rejection just to make a few sales and barely get by? You see in the “Post Trust Era” with trust being at its lowest point then it’s ever been in the marketplace, it’s no longer the quantity of the calls you make, or how many contacts you speak to, it’s about the QUALITY of those conversations and how “deep” you go in each conversation or how deep you get with your questions to bring out their emotions. It’s about how good you are at creating trust. It’s about how good you are at detaching yourself from the expectation of making the sale, so you become open to your potential customer, what their problems are if any, what’s causing those problems and how it’s affecting them, to see if your solution will help them. Now I’m not talking about just having a regular conversation. I’m talking about a very, very skilled conversation, asking the right questions at the right time in the conversation. When you have these conversations in a calm, relaxed conversational voice, rather than the typical enthusiastic, sales pitch voice, you will automatically attract your potential customers to you like a magnet. Because for the first time in a long time, someone, which is you, is genuinely interested in them, and what they are looking for, rather than trying to stuff your solution down their throat. They feel your Intent, and they start to lean on you and TRUST you as the “Trusted Authority” in your entire market. Ask yourself this question: What is the greatest fear you and other salespeople have, that hold you back from making calls, talking with prospects about your products, or services you sell? Well, of course, it’s the fear of rejection, right? Have you ever considered that if you get anxious about meeting prospects, or cold calling, or calling your leads and it prevents you from talking with them, or you feel the need to get pumped up before you meet your prospective clients, or you drag your feet before making those calls, it could be because it’s the way you are communicating or think you have to communicate that is causing this problem? You accept it because that’s what you have been told, right? And you have experienced it yourself. I know I was taught that when I first got into sales. But what if the reason why your prospects rejected you was that you were actually triggering that rejection by the way you were communicating to them? 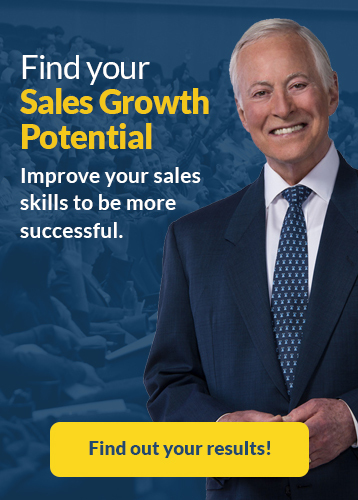 And what if you could learn what those triggers are that are causing you to get rejected so you can eliminate them in your sales conversations? The first is the flat in your face “I’m not interested” slam the door in your face. The second is the type where someone has looked at your solution and finds it really doesn’t fit into what they are looking for. The second can be disappointing but it doesn’t necessarily feel personal. You have probably been told over and over again that rejection is part of selling and to learn to expect it, to deal with it, to get over it, that you have to have thick skin to succeed in sales. And you might have even learned how to do that. Well, I will share with you, that I believe that it’s complete NONSENSE. I don’t subscribe to that way of thinking and training, because you can actually eliminate rejection, not by mind games, mental tricks, or by popping in motivational cd’s to pump you up, but by actually diffusing the cause of it. Once I broke the “Old Model” of selling (traditional selling techniques) my income went from about $300k a year to over 2.4 million dollars a year selling the exact same thing, which is almost a 1000% increase.